A dirty tile and grout don’t seem to fit in the environment of a house. Marble tile cleaning is a must thing to do or your home will look dirty and unhygienic. There are many ways to clean to clean tiles or grout, you can adopt any method to clean the tiles. Ignoring the dirt may result in the odd-looking house or for the beauty of your furniture. 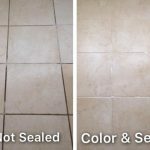 Save money and time by hiring a professional tile and grout cleaning service to do the job done. 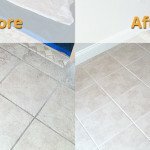 Marble tile cleaning- Regular Marble Tile Cleaning is necessary or it’ll become worse. However, it’s hard to maintain a clean marble tile, among kids and pets. But cleaning it regularly is also necessary. Otherwise, it’s will get stick with dirt and dust. First add a half cup of baking soda, 2 tablespoons of lemon juice 1 spoon of white vinegar in three cups of water. Mix it well and apply it on the tiles, then scrub it using a brush. The tiles will look shiny and clean. * Liquid hand wash soap. Add a half cup of baking soda and 1 tablespoon of dishwashing soap in one cup of Epsom salt. Mix it well and apply it to the grout or add 1 tablespoon of hydrogen peroxide and dishwashing liquid soap in half a cup of baking soda. Mix it and apply it to the grout. Later, scrub it with a brush and clean it thoroughly. After a while, the grout will look new in both processes. However, to clean the tiles you can buy any commercial tile cleaner to clean it. Regularly cleaning would make your tile and grout clean and new. 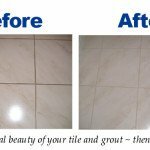 You can also seek professional help as well, Fresh Tile Cleaning in Melbourne is expertise in tile and grout cleaning, we have highly qualified Professional tile and grout cleaners team of expert who delivers the top best professional Tile and Grout Cleaning services. Our motto is to provide the best quality of services to our clients. Book your booking today and get exclusive offers at a reasonable rate.